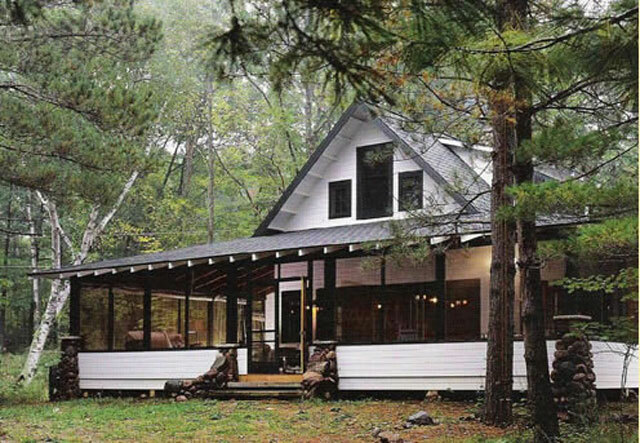 I discovered Dale Mulfinger's Porch Cabin some time ago and have pined after it ever since but felt that if I did ever have the opportunity to build a cabin retreat it might be a little more than I needed. I recently found this plan by Andrew Sheldon which I felt incorporated some of the strengths of the Porch Cabin on a little more modest scale (and perhaps a more modest price). Nice topics, I am looking this type of topics. But I need more informations. I know a New Drafting CAD Site gives away over 100 House plans for free.